How Much Does a Bus Reservation System Cost? In one of our previous posts, dedicated to the pricing strategies in the bus industry, we briefly covered the different kinds of bus operators and their needs. In this post, we intend to shed light on quite an obvious question that our prospects ask: what are the factors determining the final price of a bus reservation system (including inventory management system)? The guidelines we give in this article are also meant to help those operators who are thinking about switching to a new reservation system but are not sure about how they should budget for it. One of the main factors determining the cost of a bus reservation system is the complexity of the business rules. The more complex the business, the more demanding are the requirements for performance and functionality of the system. The complexity of a business can be evaluated by different parameters. Here are some of those we have experienced firsthand. The smaller your operations, the easier it usually is to handle your business rules, notably the exceptions, outside the system. Sometimes an Excel table or even pen and paper could do the trick. In a smaller company, it might be less costly to handle some exceptional operational tasks by using manpower and manual work, rather than covering those requirements. And often smaller operators simplify their business model to reduce their cost levels. In our experience, the threshold for operators to start asking for more advanced features tends to be somewhere around 20 buses and over. Shuttle type bus operations are usually simpler from the perspective of business rules. 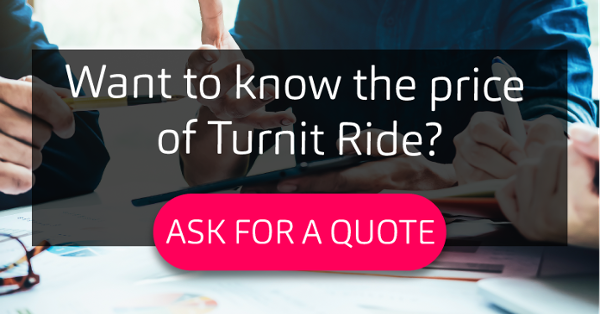 They typically run point-to-point schedule (with many pick-up or drop-off stops), with a simple and easy-to-understand fare policy. As shuttle and commuter operators usually run in a high-frequency schedule, requirements for seat capacity and inventory management are also reduced, if not removed altogether. On the other hand, shuttle and commuter type of operators often provide a wider amount of ticket products, serial and period tickets most notably. They also rely significantly on on-board, last-minute ticket sales. This means that the system must include a reliable and high-speed application for drivers to sell as many tickets as fast as possible. On-board solutions like this help drivers to sell fast and reliably. As domestic intercity lines usually don’t run as frequently as shuttles, they often need tight control over seat inventory, especially on lines with more than one stop pair. On deregulated markets, intercity lines are also operated in a more competitive environment, which naturally calls for a more advanced commercial offer handling by the reservation systems. 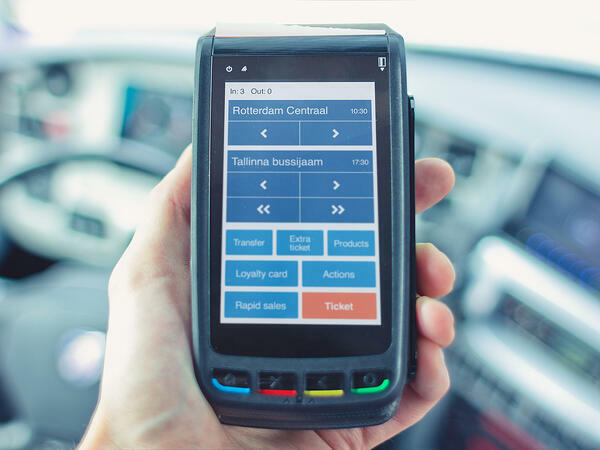 Dynamic pricing, smart marketing, loyalty and communication tools are just some of the features that successful intercity operators can’t survive without. Cross-border operations add a whole new dimension of complexity to the previously covered domestic intercity operations. Some examples of this complexity are the different VAT and currency rates, cabotage rules within different countries, multilingual data management, and tough security linked to storing and handling sensitive data of passengers (i.e. passport information) for border-crossing. Another factor related to international operations is the interconnection of different trips to one commercial offer, also known as a multileg reservation. Some international operators optimize their operational cost by converging their lines from different origins to a certain hub and then dispersing to different destinations. This way they’re able to offer a wider availability of origin-destination combinations and increase the use of those buses. Although, such effectiveness also makes the bus reservation system much more complicated and costly. The more the business is engaged in competition, the higher are the expectations for the reservation system. On deregulated markets, where there is much more competition on a daily basis, requirements for demand-based pricing and extensive omnichannel ticket distribution are already becoming a norm. On regulated markets, such requirements are not critical. Operators are focused on operational efficiency and cost-effectiveness, due to restrictive and mostly capped fare policies enforced by authorities in exchange for exclusive concessions. Low standardization of business processes and data structure has been plaguing the long-distance bus industry for a while. This means that most of the local bus reservation system providers have developed their system based on the specific needs of the majority of operators in that particular region. Although, trends in digitalization show clear evidence of most capable platforms consolidating vertical products, eventually being able to provide more reliable and mature service to their clients. Yet, in the intercity bus industry, regional-specific business processes rooted within the organizations and their business models are complicating and hindering such consolidation. This means that local system providers, unable to expand their business outside their region, are eventually reduced to a legacy level. All of this implies that software platform providers interested in expansion and consolidation while providing better value will initially focus on markets where business requirements of operators match their already-existing capabilities. It doesn’t mean they won’t be interested in providing their services also to clients with very specific needs, but it will probably end up with a price tag higher than the same platform with off-the-shelf functionality. Another cost for customization is related to all sorts of integrations with third-party software and hardware. Some of the examples we have encountered are integrations with local authority reporting databases, ERP systems, CRM solutions, fiscalization devices, etc. Although sometimes it’s very difficult to avoid such integrations, customized features and integrations mostly need extra work which will, unfortunately, reflect on the final cost of the implementation. How to Reduce Your Costs for a Bus Reservation System? These are some pieces of advice that we give our potential clients to help keep their expenses under control while upgrading their system. If you are a small operator, running international lines on a highly competitive market, you will be faced by a challenge: on the one hand, you will need a very capable and sophisticated system, on the other, your very size hinders your capability to invest. In this example, the best option to reduce costs and get an efficient system might be to merge with other small operators with similar requirements. Bundling enables you to get the system that caters your and your partners’ needs. At the same time, if the reservation system has such capability, companies will keep their data separated in the system. You will be able to use a common infrastructure without access to each other’s data. Finding a provider who has already built a highly advanced feature set, which matches most of your requirements, will enable you to reduce the extra costs and time on customization and developments. It would be even better if the software solution can be provided on a Software-as-a-Service (SaaS) model, instead of your specific installation in your server park. Signing up for a SaaS model will potentially reduce upfront costs, as usually, the monthly running fee includes the license fee. Depending on the provider, sometimes you can just pay for the infrastructure you use, based on the volume of your transactions. As our experience has shown, operators often tend to hold on to requirements related to their existing legacy system and its capabilities, without real benefit to their business. What they actually should do, when looking for a new bus reservation system, is use this opportunity to start from scratch and also update their existing business processes. They should consider their actual business needs regardless of the processes of their old system, which might be outdated and no longer useful. This is a chance to re-evaluate and find out what is the ideal way to manage their business, and then find a system that matches those needs. Operators often tend to hold on to requirements related to their existing legacy system and its capabilities, without real benefit to their business. Our experience has proven that operators who have been able to do this exercise have sometimes reduced 25% to 50% of the complexity of their existing processes. As a result, they saved on the costs that these extra functions would have required. Determining the final cost of your bus reservation system is not easy. Prices depend on many different factors such as the size, complexity, and the scale of operations of your coach company. Competition on the market in the region where you operate and the level of customization are also factors that could add up on the bill. Luckily the trends and technical abilities in software business also apply in the travel industry. Just like airline and hotel reservation systems have demonstrated, operators in the long-distance bus industry will eventually consolidate toward the most capable platform providers. This, in the end, will also drive down the costs of running the reservation system for the whole industry.